Record sales were achieved at the 32nd Nedbank Cape Winemakers Guild Auction held yesterday, these amounting to R13 833 200 for 2 428 cases, average price per case being R5 697 (average price per bottle: R950), an increase of almost 24% year on year. 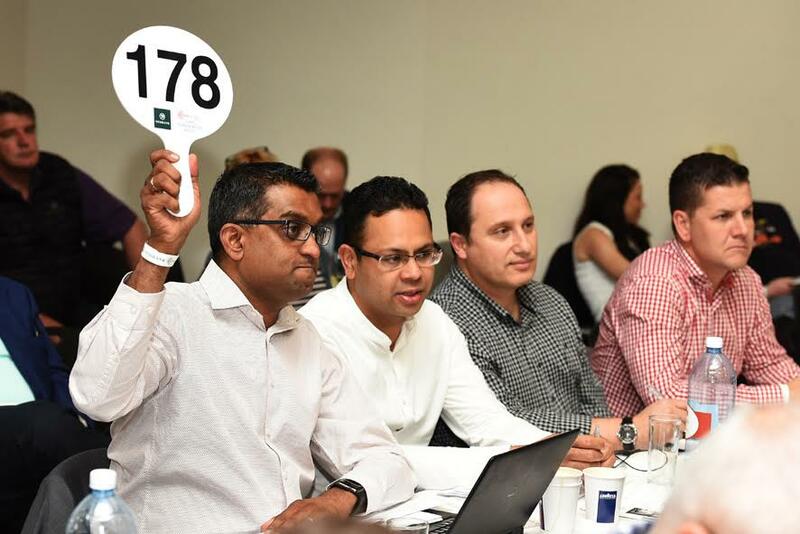 84% of the wines were bought by local buyers and Tsogo Sun was the biggest buyer for the third consecutive year with total purchases of over R2.6 million (the hotel group also spending R1.08 million at the recent Nederburg Auction). The three most sought-after wines based on an average price per case equivalent of 6 x 750ml were Kanonkop CWG Paul Sauer 2012 (R10 988), Boekenhoutskloof Syrah Auction Reserve 2014 (R10 020) and Etienne le Riche Special Select Cabernet Sauvignon 2007 (R9 189). Can you please explain the difference between the CWG Offerings from Kanonkop or Boekenhoutskloof, and the same “Paul Sauer 2012” that I might purchase by the case from my local wine merchant. Hi Billabong, It’s a good question. In the case of the Kanonkop, I imagine that it is a selection of the best barrels from the standard cuvee – many Guild members have applied this practice over the years and ultimately, it’s up to the punter to decide if the (marginal) difference in quality is worth the (significant) price premium. In the case of the Boekenhoutskloof, the Auction Reserve 2014 is an notably different wine to the standard cuvee, the former being entirely from Porseleinberg and the latter being 60% Wellington and 40% Porseleinberg. Thank you for the explanation. As a buyer of Bordeaux en primeur, it’s hard to see why you would pay the premium on CWG Paul Sauer, when the regular Paul Suaer is already a flagship wine, and is also very good. I’ve never been offered a “Wine makers choice Chateau Palmer” at a 60% premium to the flagship wine. Perhaps that is because it is already expensive enough!